Snowmobilers top the list of those who die in avalanches across North America. If you plan to snowmobile in avalanche country, it is important to understand the potential dangers as well as the basics of avalanche safety. It is strongly recommended that snowmobilers take an avalanche training course to learn the avalanche danger signs they need to watch for when riding. Avalanches that involve people are not random. Rather over 90 percent of the time the victims or someone in their group triggers the snow slide. 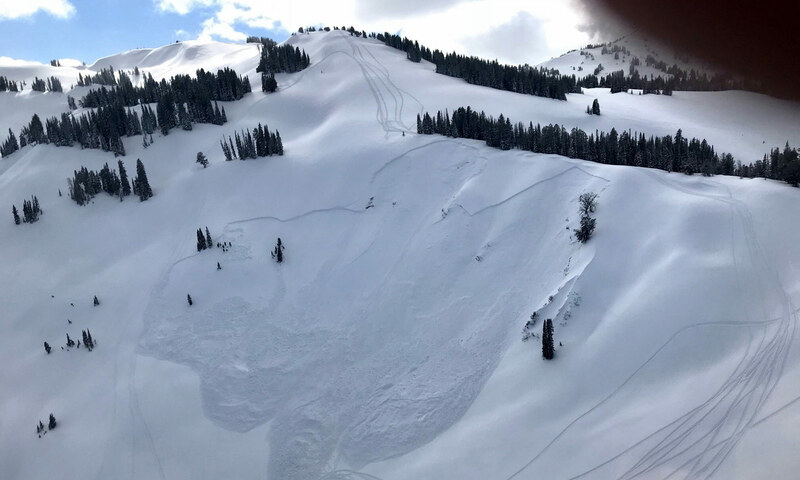 This means these avalanches could generally be avoided if snowmobilers learn to follow basic avalanche safety procedures. 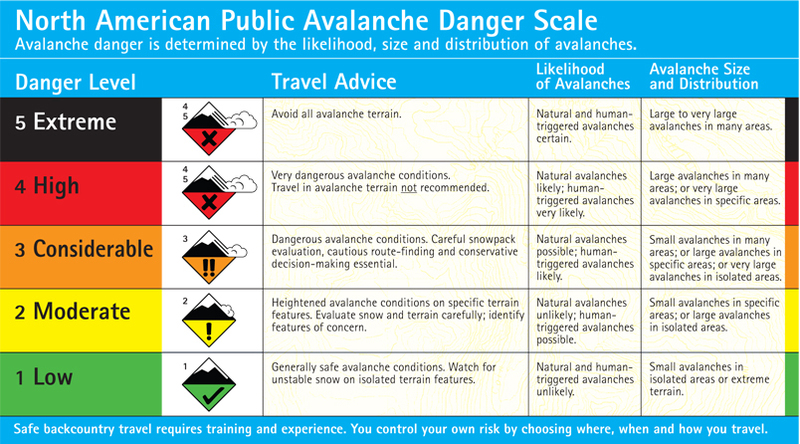 The following information provides a general introduction to avalanche safety. 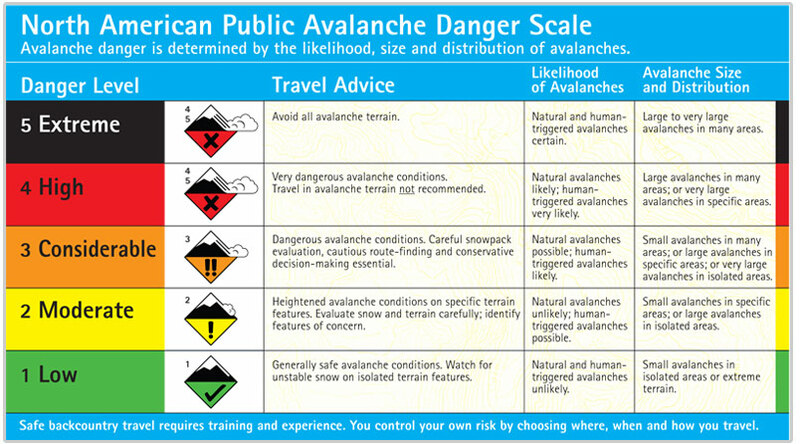 Many regions of the U.S. and Canada have avalanche forecast centers that issue daily avalanche forecasts during the snow season. Always Get the forecast for the area nearest where you plan to ride that day. Visit www.avalanche.org for additional information. 'High marking' is the practice of climbing steep slopes with a snowmobile to attain the highest mark/location on the slope or to get 'over the top.' It's one of the most dangerous things you can do on a snowmobile and accounts for over 60 percent of avalanche fatalities involving snowmobilers. Seeing tracks on a slope does not mean that slope is safe since timing is everything. 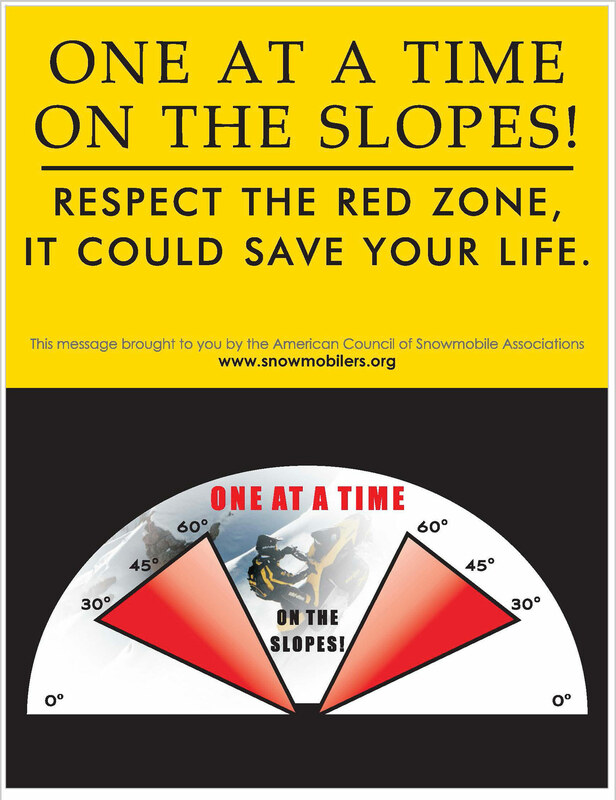 The snowpack must be stable at the time you're at the slope in order to safely ride on it. It does not matter if it was stable yesterday or last week — it may not be stable today. 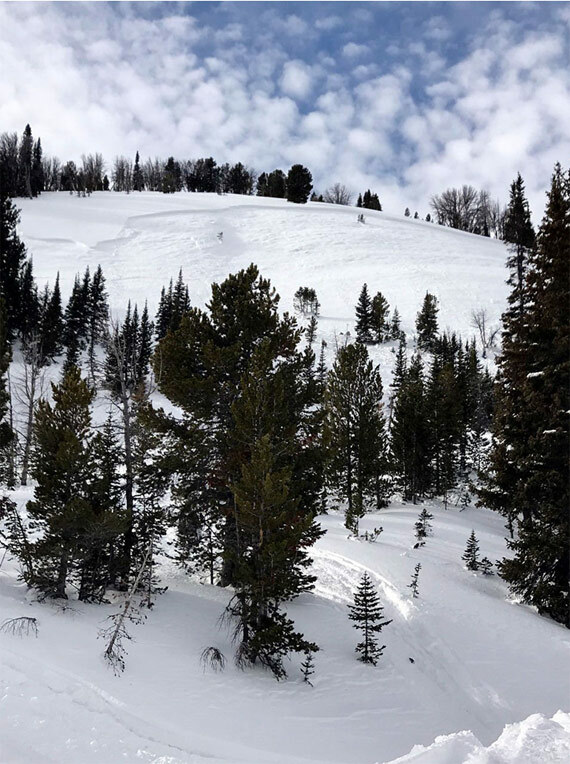 Any slope steeper than 25 degrees can potentially slide, although prime slopes for avalanche conditions are generally 30 to 45 degrees up to a maximum of 60 degrees (slopes above 60 degrees are generally too steep to hold snow cover). These are the exact same slopes snowmobilers love to ride and high mark on. 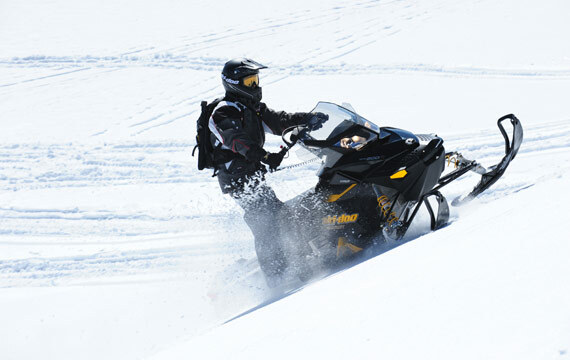 Understand that riders do not have to be up on a steep slope to cause an avalanche; they just have to be in the vicinity and connected to the slope to trigger a slide. When riding off-trail in known avalanche terrain, try to limit your group size to only three or four people. It can be less safe when the group size is larger since it becomes more difficult to communicate good choices and follow safe travel procedures. However do not split your group if it is larger; rather pay extra attention to safe travel by stopping more often to periodically look for clues of instability in the snowpack and to discuss potential avalanche hazards with the group. If there is any question about being able to ride safely, be smart and choose another area or day to ride. NEVER travel above your partner. Remember, one at a time on steep slopes, and park in safe spots while watching the person who is exposed to the avalanche hazard while on the slope. Each rider in the group should wear a transmitting avalanche beacon and also carry a probe and shovel in a pack they wear. If the tools you need to save your friend are on your buried sled, your friend may die, so always carry your rescue gear on your person versus on your snowmobile. Before you drive to the trailhead, confirm that all members of your group have their rescue gear and knows how to use it. Check to ensure all beacons work in 'transmit' and 'receive' modes. Always ride with your helmet securely fastened since many avalanche victims actually die from blunt-force trauma. Full-face helmets have saved avalanche victims by providing some built-in air space; although you can't count on this, it does potentially provide an extra measure of safety. Assumptions can kill you when snowmobiling in avalanche country. Instead, you must continually make reasoned observations and decisions to help stay safe. Avalanches don't care what you want to do or how skilled you think you are, so don't make the mistake of becoming at ease simply because you've ridden an area before. It does not matter that it is a nice day, since most avalanche accidents actually happen on blue-sky days after storms. Don't assume it is safe just because there are tracks on the slope. And you're not safe and invincible just because you're wearing a beacon. If your group needs to actually use their beacons it means someone messed up, big time. While beacons may help save an avalanche victim if the rider is lucky and found within 15 minutes, beacons are 'false security' and may just as likely be used to recover a body. You're in avalanche country, so keep the brain engaged and continually think about your next move versus falsely assuming you'll always have a safe day. Cornices are the overhanging deposits of wind-drifted snow that form along the leeward side of ridge crests and gullies. Cornice breaks can be caused by additional new snow, wind loading, warming, or the weight of a person or sled on the cornice. If you like to 'catch big air' by jumping cornices, know that even if you don't break the cornice, the snowmobile's landing shock-loads the slope (like a detonating bomb) and can trigger an avalanche. Do not approach cornices from the bottom or ride on slopes that are overhung by cornices above them. Always be extremely careful of cornices since they often break farther back than you'd expect and when they come down they bring a huge amount of hardened snow with them. When approaching any ridge, slow down, think cornice, and make sure you're riding, parking, or standing on snow that has solid ground beneath it. The best practice is to stay a long distance back from the edge. Realize you can be fooled by bushes or small trees that sometimes extend through a cornice from the slope below — meaning the underside of the cornice extends much further back beneath than you realize. Your smartest option is to practice good safety habits to avoid ever getting caught in an avalanche. However if an avalanche does occur, there is generally only a 15 minute window to rescue a buried victim before they die from asphyxia. There is not enough time to go for help, so you and the other riders in your group have to become the rescuers. About 65 percent of riders buried in an avalanche survive when their partners are able to perform a rescue, while buried riders die about 80 percent of the time whenever their partners leave the scene to go for help. You simply have to stay at the scene and search for your buried partner. 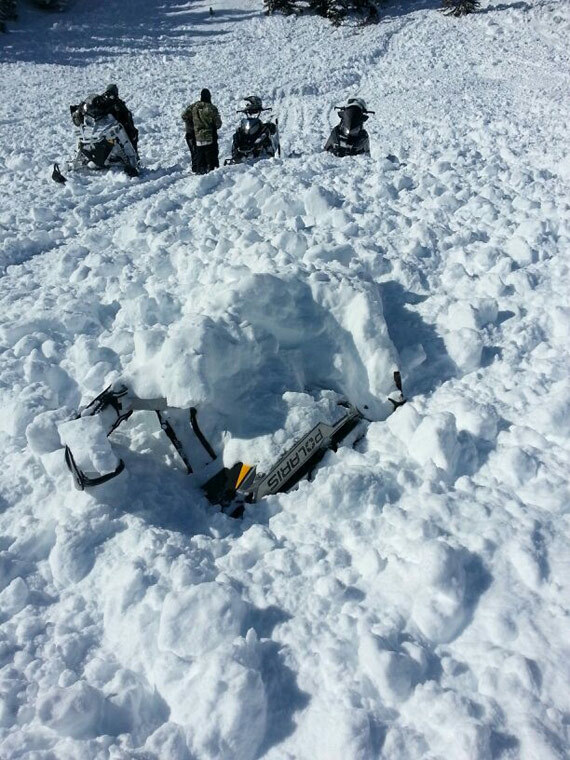 Many snowmobilers continue to venture into the backcountry untrained and unequipped to rescue someone buried by an avalanche. Tools for an avalanche rescue include: brain, beacon, probe, and shovel. You must carry the last three and engage the brain in order to have a successful rescue; otherwise the exercise becomes only a body recovery. Always carry rescue gear when riding in avalanche country and also make sure your riding partners are equipped with rescue tools. While some riders have objected to buying an avalanche beacon, probe, and shovel saying it is 'too expensive,' it's certainly not when compared to you, a friend, or family member becoming severely injured or dying in an avalanche. If you're completely buried, a beacon may be the only way you can be located and dug out within the 15-minute window for survival. 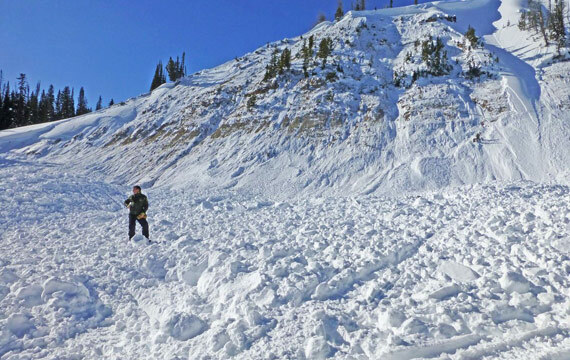 Avalanche debris quickly sets up as hard as concrete and there are unfortunately too many stories about people trying to dig a victim out with their hands, helmet, face shield, or windshield. That simply does not work because the snow is too hard. You must carry a real shovel (preferably aluminum or steel versus plastic) on you in a pack. A probe is also important to help pinpoint the buried person and to minimize digging time; it is essential if you're looking for someone who failed to wear a beacon since it allows you to quickly spot-probe around the debris field. Most importantly, train for the use of rescue gear. Practice with it regularly to ensure you know what to do, and can act quickly and instinctively in the event one of your partners becomes buried in an avalanche. If knocked off your sled, push away from it to reduce your chances of being injured and FIGHT HARD to stay on top of the moving snow by "swimming"